I am so pumped to be attending The Warehouse Sale in Boston at the Park Plaza Hotel next Tuesday, March 9. 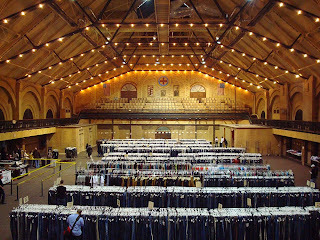 The largest sample sale in the country, over 20,000 items are available at an 80%+ discount! According to the site, "favorite brands including AG Jeans, BCBG Max Azria, Chip & Pepper, Frankie B, Laguna Beach, Monarchy, Paige, Rock & Republic, Rock Revival, Seven, Splendid, True Religion, William Rast, Christian Audigier and Ed Hardy, will be sold at the Boston Warehouse Sale." Sign me up! She's got quite the loot- hope there are some JBrands for me! If are you in Boston next Tuesday night, it's $5 at the door. 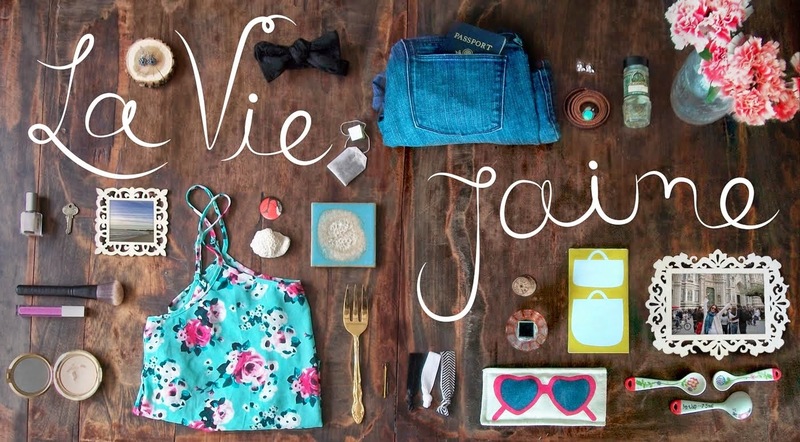 Lucky for you, I have a free invite, courtesy of La vie...J'aime! Simply comment here with your email, and I'll send you the free RSVP! PS: NYC's event is March 11, if you are in the NYC area and want to go! All photos courtesy of The Warehouse Sale. Oooooh I wish I could go to Boston for this one!! If only I was in Boston! What an event! Good Luck, can't wait to see what deals you score. :( Wish I could go! im so so jealous of American shoppers in general! sooooo much! looks like some good deals! not sure i can handle that crowd but i just may try! Looks like a dream! Sign me up! I totally want in!!! Carlee and I will be there with bells on!!!!! oooh im jealous! why couldnt my trip have waited? I remember the warehouse sales in LA. They were the best. Have fun! I wish I live in Boston... too far unfortunately!